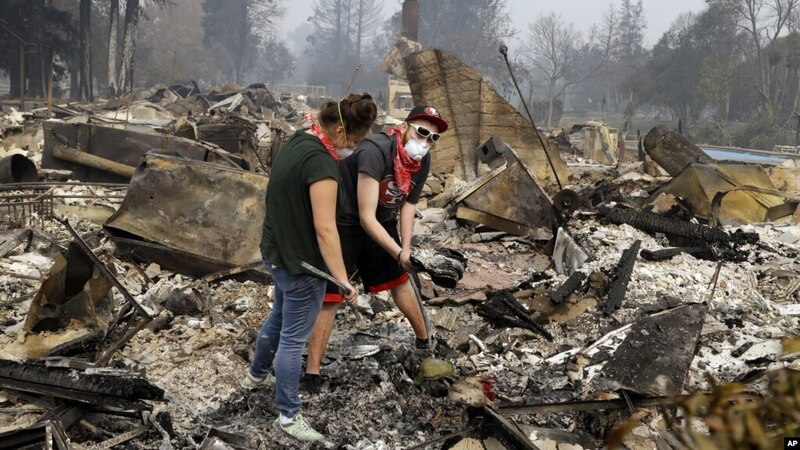 Newly homeless residents of California wine country awoke to shattered lives Tuesday, a day after wildfires killed at least 15 people and destroyed more than 2,000 homes and businesses. Hundreds more firefighters joined the battle against the blazes, which were still completely uncontained. And authorities began to identify the dead, including a 100-year-old man and his 98-year-old wife who died in their burning home.